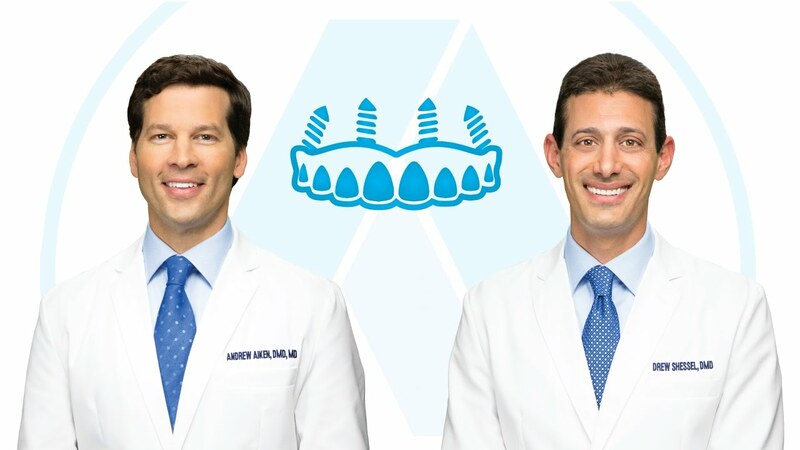 Our doctors at Oral Surgery Specialists of Atlanta perform a unique dental implant solution called the All-on-4® Treatment Concept, also known as Teeth-in-an-Hour. The All-on-4® Treatment Concept offers patients in need of a full-arch replacement a faster procedure and healing time. In this procedure, four (or possibly more) implants are placed in the patient’s upper or lower jaw to secure a complete denture. Patient Convenience. The new replacement teeth can be attached to the four-implant base in the same appointment, allowing patients to avoid the delay that accompanies many other tooth replacement procedures. Patients can start enjoying the benefits of their new arch of teeth right away. Increased Functionality. The All-on-4® Treatment Concept allows the denture to be attached to the implants with screws, ensuring that the replacement teeth are secure and supported. When you have lost the majority of your teeth, finding a cost-effective replacement option that restores both function and aesthetics to your mouth can be difficult. Options such as removable dentures or multiple implants are very expensive and can involve a time-consuming restoration and healing process. Fortunately, patients of Oral Surgery Specialists of Atlanta have an alternative option to mitigate these problems — the All-on-4® Treatment Concept. The entire surgical procedure can often be completed in just one visit and allows patients to solve both their functional and aesthetic problems much more quickly. Your general dentist or prosthodontist will perform the denture fabrication portion of the procedure. Many patients who are unable to receive traditional replacement options, such as a fixed bridge, are still able to receive this unique treatment. If you are on the verge of losing or have already lost an entire arch of teeth, or wear a prosthesis such as dentures, you may be a candidate for the All-on-4® Treatment Concept. If you think you may be a candidate for this procedure or want to learn more information about it, we encourage you to call and schedule an initial consultation with our office.